QED Alcohol Test (10 per box)-- $7.75 each. The Q.E.D. Saliva Alcohol Test (Only DOT Approved & CLIA Waived Alcohol Saliva Test) is an on-site, low-cost alternative to breath or blood testing. The test is easy to operate and provides quantitative results as accurate as a blood test. The Q.E.D. test serves customers in workplace testing, criminal justice and in hospital, emergency, psychiatric and occupational health departments. The test is designed to be administered by professional users. The Q.E.D. test is to be administered by a certified Screening Test Technician or trained professional. The test is run on saliva by swabbing the mouth, and then pressing the saturated swab into the red center. It will run like a thermometer, with both a control line, and a line indicating the level of alcohol in the system of the individual detecting the Blood Alcohol Level of an individual up to .15. 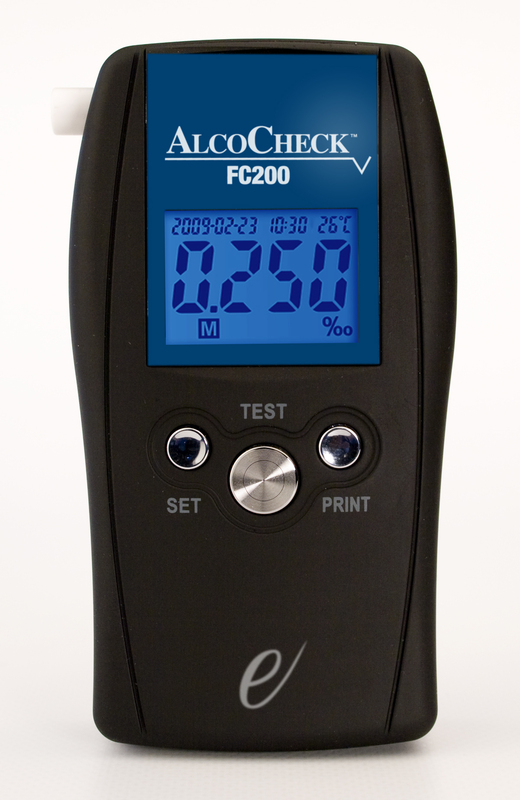 AlcoCheck FC300 - Breath Alcohol Detector The AlcoCheck FC300 is a professional-grade breath alcohol detector that utilizes an advanced fuel cell sensor to test breath alcohol content quickly and accurately. The simple one-button operation provides a digital reading in seconds. At just a fraction of the cost of other DOT-approved units, the AlcoCheck FC300 is one of the top selling breath alcohol screening devices on the market. 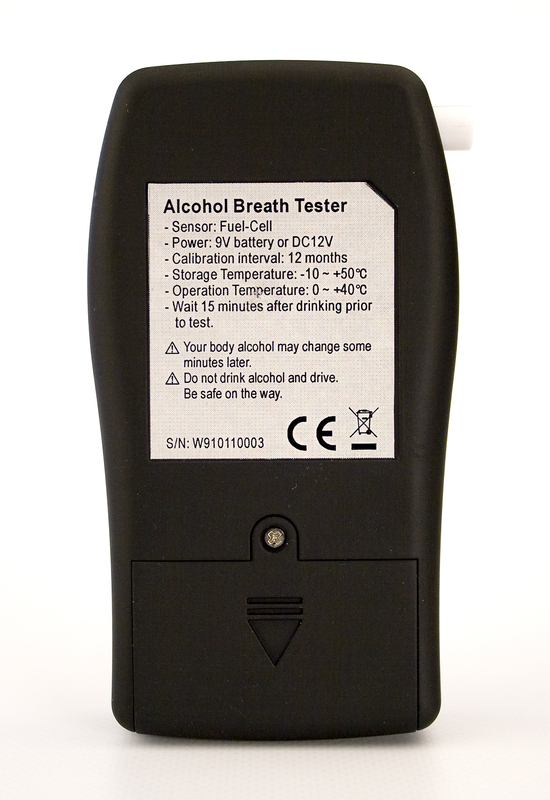 AlcoCheck SC100 - Breath Alcohol Detector The AlcoCheck SC100 is a professional-grade breath alcohol detector that utilizes an advanced semiconductor-oxide sensor to test breath alcohol content quickly and accurately. The simple one-button operation provides a digital reading in seconds. 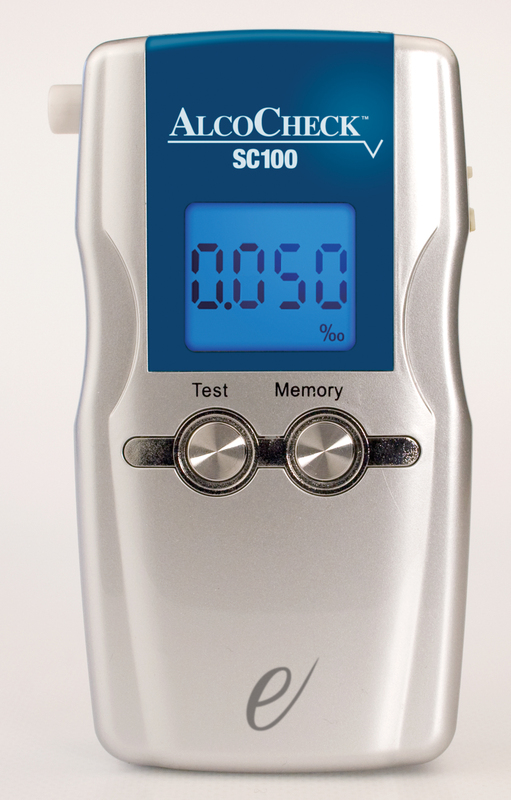 At just a fraction of the cost of other DOT-approved units, the AlcoCheck SC100 is one of the top selling breath alcohol screening devices on the market. These one-way-flow mouthpieces are for use with the AlcoCheck breathalyzer. The specialized valve on these translucent, hard plastic mouthpieces prevents inhalation through the mouthpiece. Note: For forensic use only or export only. AlcoCheckÂ® Breath Alcohol Screen disposable device Easy to use Compact, plastic tube construction allows test to be carried anywhere Pass/fail design detects alcohol at different threshold levels Available in four threshold levels .02, .04, .05, .08 The AlcoCheckÂ® Breath Alcohol Test offers users a simple, convenient method to detect alcohol use and to estimate levels of alcohol intoxication. 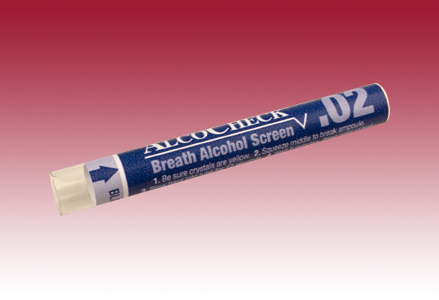 The AlcoCheckÂ® Breath Alcohol Test uses chemical alcohol detection technology with 50 years of proven success in law enforcement and corrections. To perform a test with the AlcoCheckÂ® Breath Alcohol Test, the user squeezes the tube to crush the ampoule in the test, and then blows into the appropriate end of the test for 12 seconds. Yellow crystals remain unchanged if alcohol is not present at the tests threshold (top photo). Alcohol in the breath turns yellow crystals to a pale blue or green color (bottom photo) within two minutes if the concentration meets or exceeds the tests threshold.